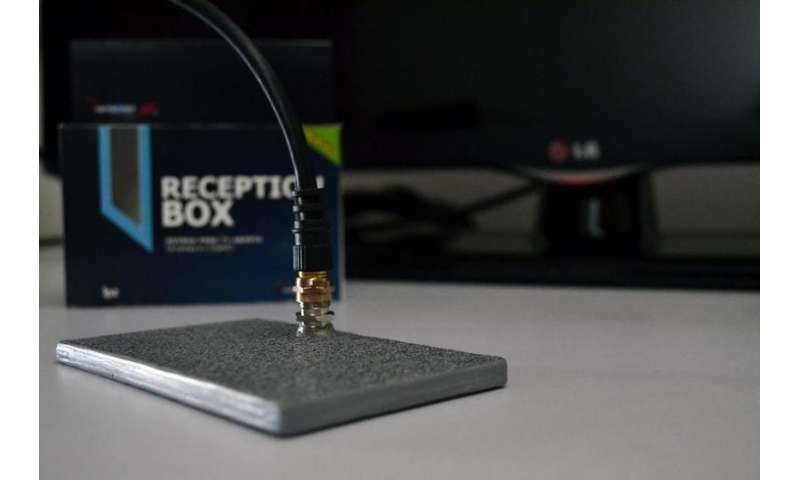 Researchers at the University of Morelos (UAEM) in Mexico have developed a dual antenna for broadcast TV with features that distinguish it from others already available worldwide. It is 11 centimeters long and 6.5 centimeters wide, six millimeters thick, weighing 12 grams and, when coated, weighs only 80 grams. The receiving antenna has successfully passed performance tests in which it was subjected to very low temperatures, among other parameters. "In the California area (USA) it could pick up the signal of about 70 local channels, and after the analogue switch-off in Mexico City, recorded 28 channels, 23 of them without repetition," says Dr. Margarita Tecpoyotl Torres, leader of the project carried out at the Center for Research in Engineering and Applied Sciences (CIICAp) at UAEM. "The idea came from applying new materials and new geometries to create a smaller antenna in comparison to those that already are available. Advanced materials were tested and the design was based on an array of antennas and other elements, " explains Tecpoyotl. This outdoor antenna only requires orientation and a fixed spot in the ceiling, avoiding huge masts. 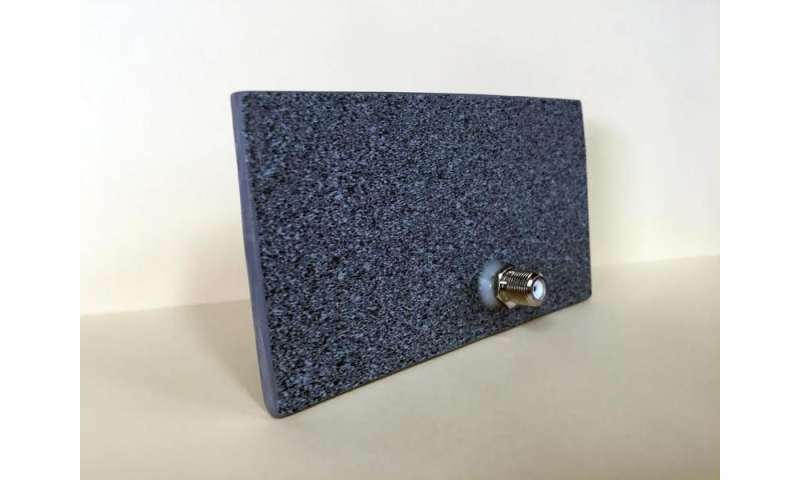 For indoor use, it does not require any attachment, and it can be connected to different TVs with a signal splitter. Moreover, it doesn't require electricity. 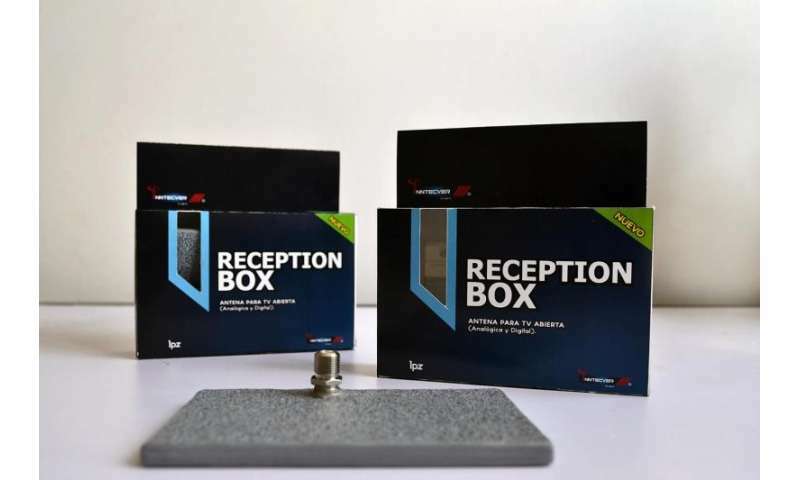 This antenna has been tested by one of the largest television companies in Mexico with satisfying results. "Globally, we have not seen small TV antennas. The nearest is 30 by 30 square centimeters. Due to the characteristics of our design, the patent was granted last year, and now we seek an investment opportunity that allows us to mass produce it. Although the manufacturing is semi-craft, its cost is less than what the market offers after the analog switch," says Dr. Tecpoyotl. Tecpoyotl emphasizes that the academic stay in London was a valuable experience because of the number of experts at the highest level in all areas, both in comprehensive training in business models, management of a company, presentation of the development to potential investors, as well as how to convey the message. "The cost of this training is very high and we had the great fortune to experience it thanks to the support received."